What are stars? Why do they exist? 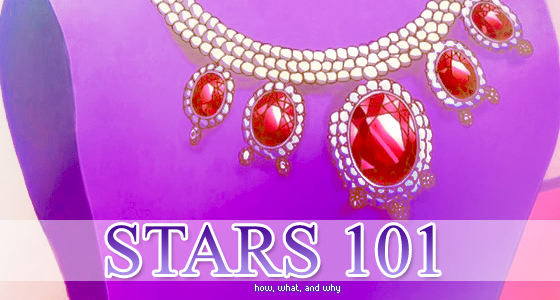 Stars are SG's virtual currency so we can encourage members to use and post on the forum, as well as be active. This is another fun part of our forum! How can I earn them? Click this link! Members in different groups earn different amounts of points. You can also earn them by simply posting and creating threads. You can purchase things in the silver emporium (eternal members only). As well as other things that require stars. If you have any questions (no such thing as a dumb question), PM Neo Queen Serenity.